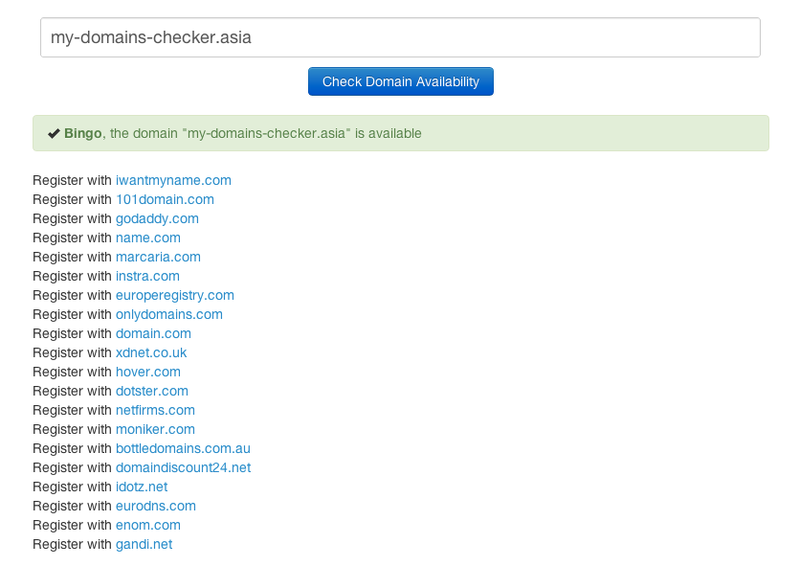 This app enables you to have a domains names checker on your website. The app can run in 3 different search modes (including an AJAX search and an instant search). It’s based on 2 different API providers. You can set which one to use from the config file. The app enables you to define your own affiliate URLs to register a new domain. This app also comes with a built-in area (at the top of the search input), that you can customize from the config file with your own ad banner code. After purchasing this app, you get the full source code enabling you to run an app just like on our demo page ! - Supporting the most common TDLs and we can add yours if not yet supported ! - Requires very minimal configuration, get this app running in minutes !